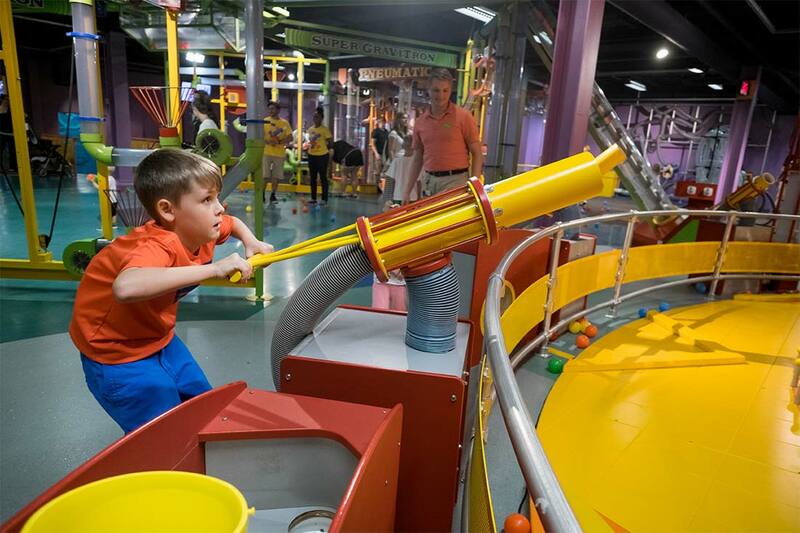 Omaha Children’s Museum has been my family’s go-to source for fun for nearly seven years. Whenever my kids need a place to just be themselves—their own wild, creative selves—we head downtown to play. The museum is ever-changing, so my two children, 8-year-old Ethan and 6-year-old Laura, always have something new and fascinating to discover. One of their favorite places to play is the Imagination Playground. Laura can be found shopping in the mini grocery store while Ethan pretends to bake me a pizza in the cute little pizza parlor nearby. Imagination Playground is designed to reflect the city and its community, so in addition to the grocery store, there’s a kid-sized bank, hospital, fire station and two-story barn. The fire station is a particular hit with small kids—they can climb inside and roam small tunnels that parents can’t fit into so well. I can’t keep up with them in those tunnels, but no worries. Since there’s only one exit from Imagination Playground, I know they can’t wander far. After we’re done grocery shopping or playing firefighter, we move to the Art Smart Center, which has Ethan’s new favorite room, the Tinker Lab. Now that’s he’s a little older, he enjoys building and creating things without much help, so this space is perfect for him. He can choose his materials and tools. I’m still nearby if he needs me, but it’s so much fun to see what he makes on his own. Laura is in love with bright colors and putting on a show, so while we’re in the Art Smart Center, she usually heads for the face paints and then steps into the spotlight at Center Stage. It’s also really fun to dance with her on the colorful Moving With Light floor. No visit to Omaha Children’s Museum is complete without a visit to the Super Gravitron in the Charlie Campbell Science and Technology Center. My children make sure that we stop here each time we’re at the museum. We just call it the ball area because of the Super Gravitron’s most exciting feature: The center of this massive ball machine is where a bunch of plastic balls drop on kids every so often. Kids of all ages (and adults) race around to add more balls to the center before it opens up once again to dump the balls out. The space is a lot of fun, and probably where more parents are spotted playing than anywhere else. When we need a break from play, we often head to one of the science shows in the Science Theater. My kids love sitting in the front row, hoping they get called on to volunteer for one of the experiments. I think the shows are just as much fun for parents to watch as they are for the little ones. The museum caters to children ages 8 and younger. There’s even a room for babies and toddlers called the Wiggle Room, with soft building blocks, a padded floor perfect for crawlers and plenty of other activities perfect for this age group. It’s pretty adorable. Bringing older siblings along? 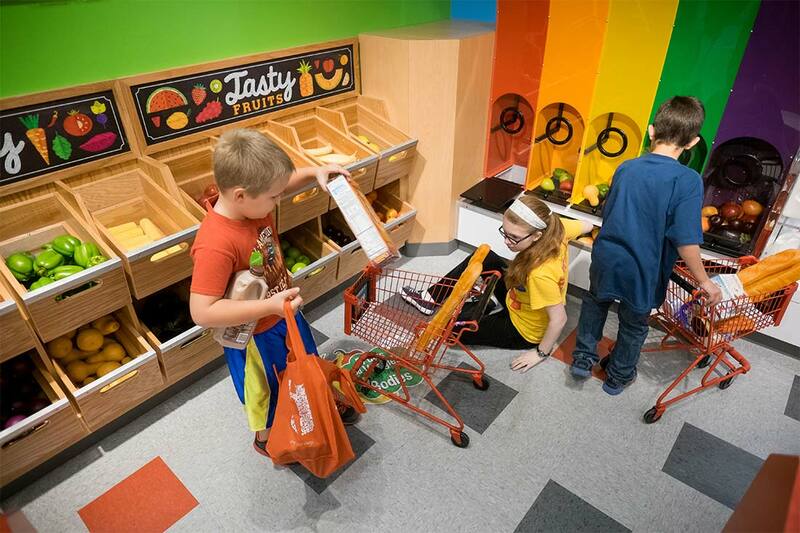 Head to Art Smart Center and let them loose in the Tinker Lab. They can make whatever they can dream up with the materials and tools available there. Keep in mind that adults need to be around to supervise. The museum has two temporary exhibit spaces: A small one on the first floor and a large one upstairs. Be sure to check before visiting to see if those special exhibits are open or under construction. If they’re open, don’t skip them—they’re always amazing! If you’re hoping to avoid a crowd, arrive first thing in the day or go the last two hours before closing. The end of day at the museum almost feels like you have the museum to yourself. There’s a private space to breastfeed in the Family Discovery Room on the first floor. Comfy chair, soothing music and away from the chaos—how perfect is that? Bring a change of clothes for youngsters. The museum has an awesome, three-tiered water table and toddlers inevitably end up very wet when playing there. There are two waterfalls, a smoke bubble and ample opportunities to get splashed. During the summer, there’s also a small splash garden in front that will soak your kids. Hungry? The museum has a small cafe upstairs with kid-friendly fare like pizza slices, hot dogs and ICEEs. You’re also allowed to bring in your own outside food and drinks. Bring a few extra dollars for the rides. There’s a carousel and a mini train. If it’s your first visit, know that there’s just something magical about that carousel. I’ve taken the best pictures of my kids with huge grins on their faces while riding it. 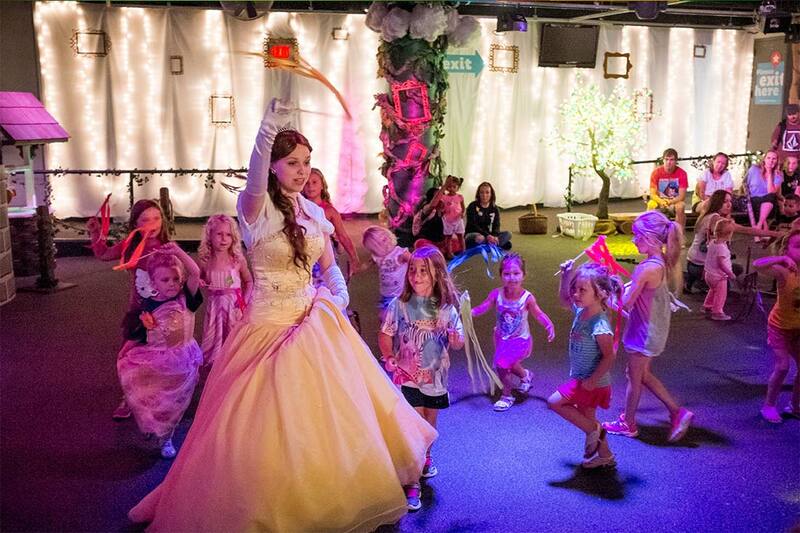 Explore the best kid-friendly attractions in Omaha! Read more from Kim Reiner.